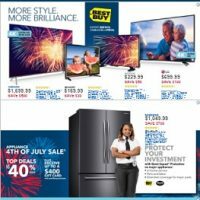 Best Buy Weekly Ad July 23 – 29, 2017. Unbeatable Prices! 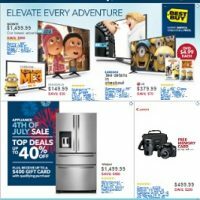 Best Buy Weekly Ad July 16 – 22, 2017. Amazing Prices! 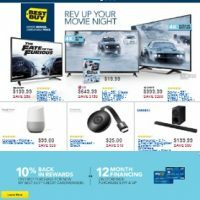 Browse our Best Buy weekly ad, Best Buy weekly circular and their hottest deals online. We are bringing on a single online portal all the best Best Buy ads and circulars. 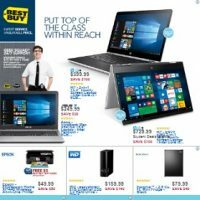 Best Buy is the world’s largest multi-channel consumer electronics retailer with stores in the United States, Canada (don’t miss Best Buy Canada flyers), Mexico and China. 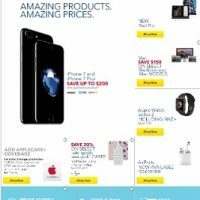 Currently Best Buy is one of the top ten retail websites in the United States with more than 1 billion visitors in a year to bestbuy.com and also over 600 million visits to Best Buy stores in the United States in full year. Best Buy also sells cellular phones in partnership with Verizon Wireless, AT&T Wireless, Sprint PCS, Boost Mobile, and T-Mobile., in regular stores and standalone Best Buy Mobile stores in shopping malls. Best Buy has stores opened in the largest cities in the United States as Los Angeles, Chicago, New York, San Francisco, Houston, Dallas, Seattle, Miami, Boston, Philadelphia, Phoenix or San Antonio. On iWeeklyAds you will find the latest Best Buy weekly ads, weekly circulars, sales flyer and catalogs, online, on a single place.